149.99 GBP Only 2 left In stock, ready to dispatch. 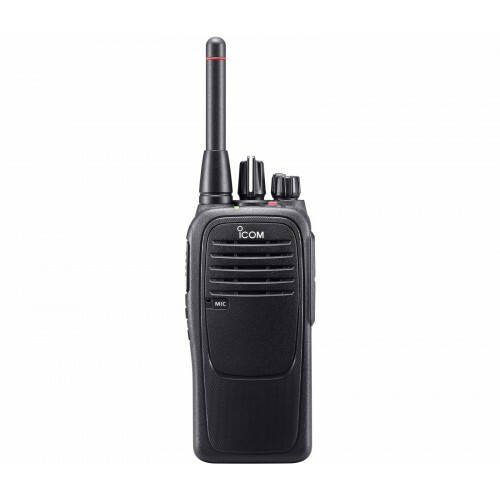 Slim and compact, the iCom IC­F29SR two­-way radio is designed to be used almost anywhere and in any weather conditions. It is waterproof up to the internationally recognized IP67 standard, while a rugged design helps to minimize the risk of damage due to unexpected knocks and falls. Using the PMR446 license-­free frequency coverage, the iCom IC­F29SR provides a free and convenient way to keep in touch. With an integrated voice scrambler, it also facilitates private conversation using up to 16 codes. There are 16 channels to choose from, and you can program in operating channels and group codes. When the channel number changes as you rotate the dial, the radio will make an announcement. Why Should You Buy this Two­-Way Radio? Providing up to 21 hours of operation time on a fully charged battery, this durable two-­way radio is suitable for use in almost any situation.